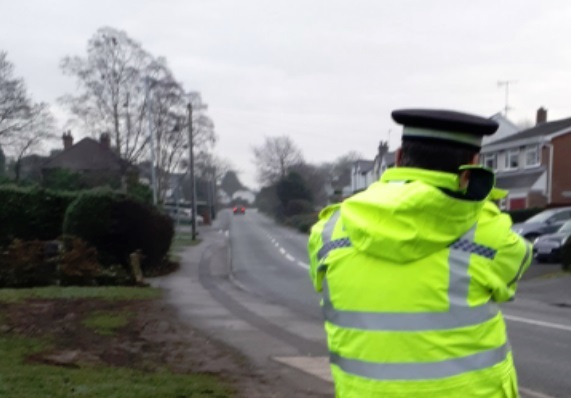 POLICE have been carrying out speed checks in Bromsgrove this morning. Officers from West Mercia Police were present in Braces Lane as part of the national speed enforcement campaign which is currently running. It began on January 14 and runs until Sunday, January 27. It is aimed at encouraging drivers to think about their speed and to always travel within the limit. It is estimated that across Europe speeding contributes to as many as one third of all collisions resulting in fatality and is the most important contributory factor in road deaths. Speeding, as well as inappropriate speed can have a devastating impact on the safety of road users, increasing the risk of a collision and the severity of the consequences.